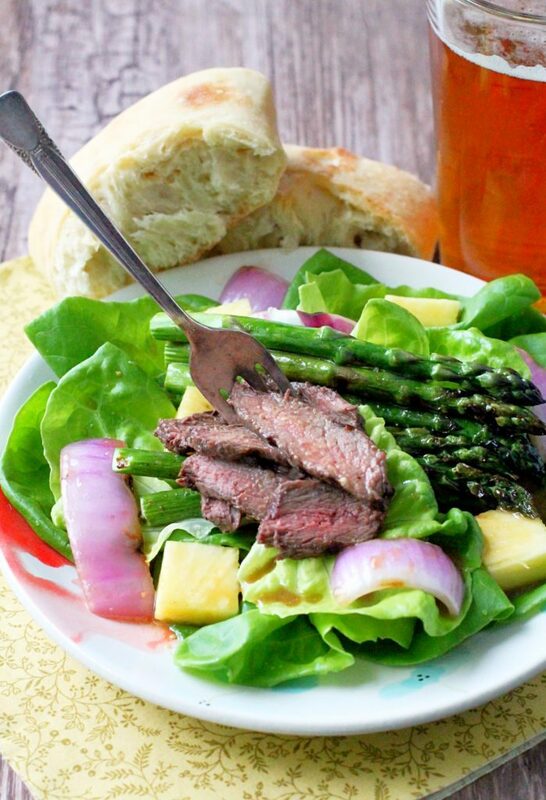 Grilled Steak and Asparagus Salad with Pineapple Vinaigrette is perfect for warmer Spring evenings. 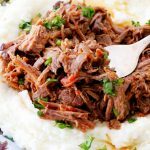 Thank you to the Ohio Beef Council for sponsoring this post! Funny how a few similar ingredients can combine for completely different eating experiences. 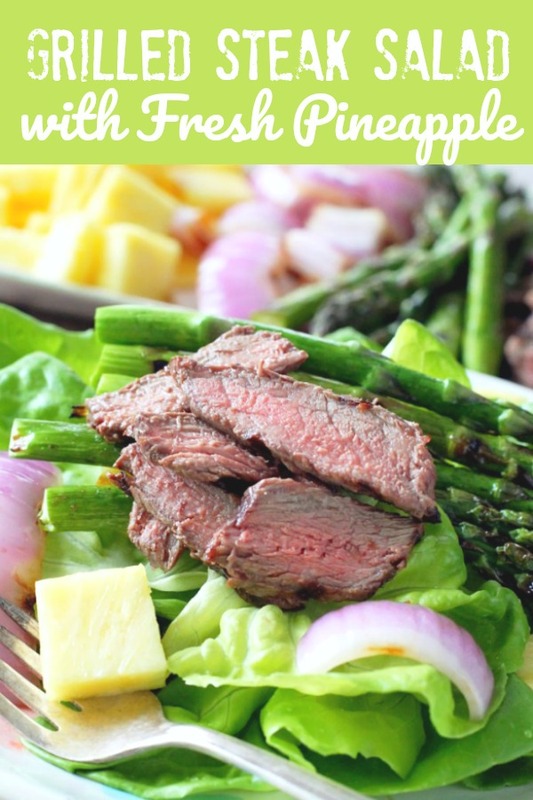 Grilled steak and fresh pineapple paired for gourmet street tacos in my last post but now here they star in a stellar Spring salad. I love dinner salads that include protein. 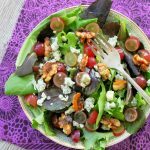 Chicken is the probably more common protein choice to top a hearty salad. But since common can become boring I decided to top my salad with grilled steak instead. But not just any grilled steak. 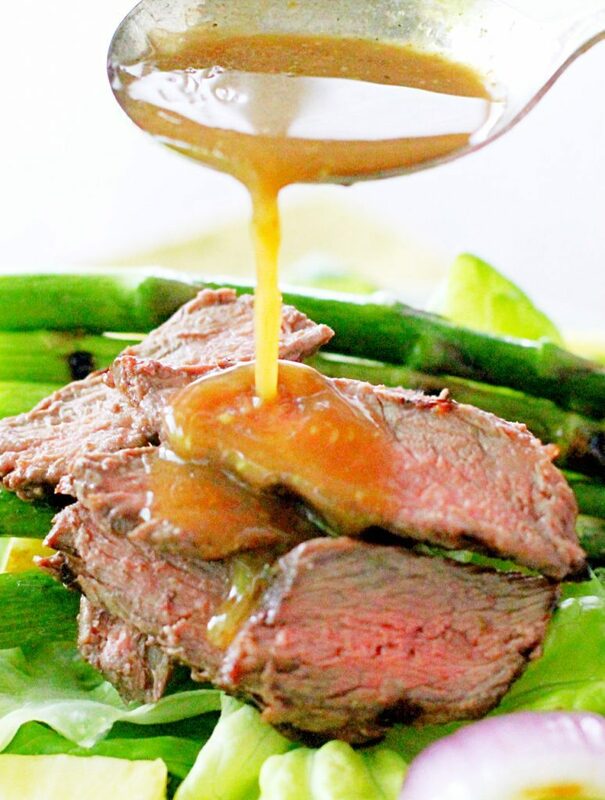 In this case top sirloin steaks are marinated in a vinaigrette made with fresh pineapple juice and a whole bunch of other yummy flavorings that seem to fuse Asian and French flavors together. Ginger, soy sauce and Dijon mustard? Yep it totally works. 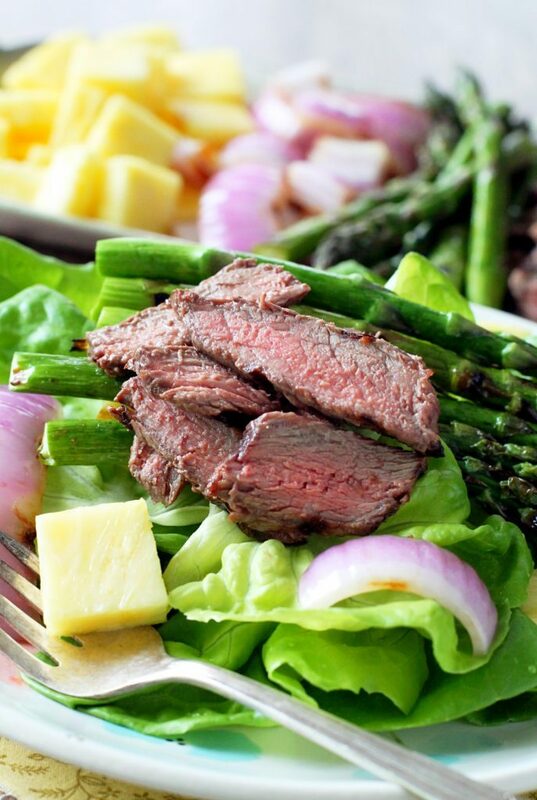 And the vinaigrette is both marinade used for grilling the steak, asparagus and red onion and dressing for the finished salad with butter lettuce and fresh pineapple. This salad is light and fresh for Spring but hearty enough to pair with a pint of your favorite beer (if you’re into that sort of thing). This is my kind of meal. My number one tip for grilling steaks by the way is to own a digital meat thermometer and use it! If you like your steaks cooked medium, remove the steaks from the grill when their internal temperature reads 155 degrees. Allow them to rest for a few minutes before slicing and serving. 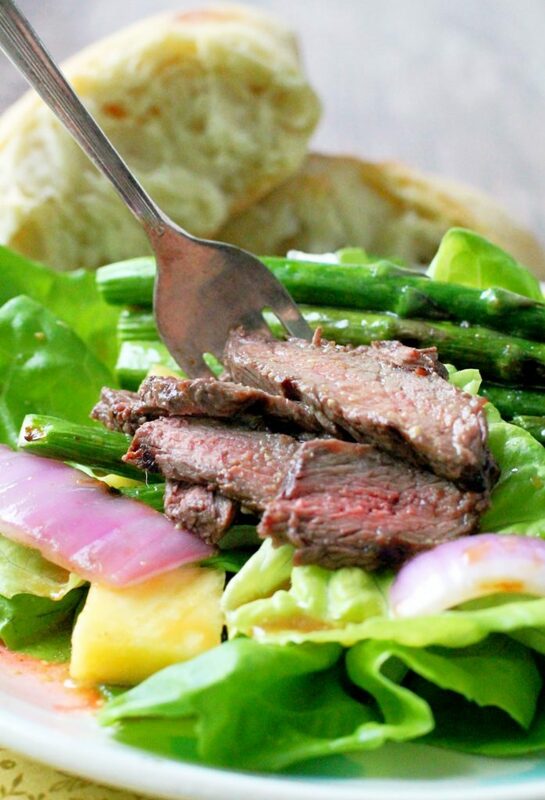 This salad topped with grilled steak is a great way to kick-off Ohio Beef Month too. Did you know that was even a thing? I think it’s a really exciting thing! 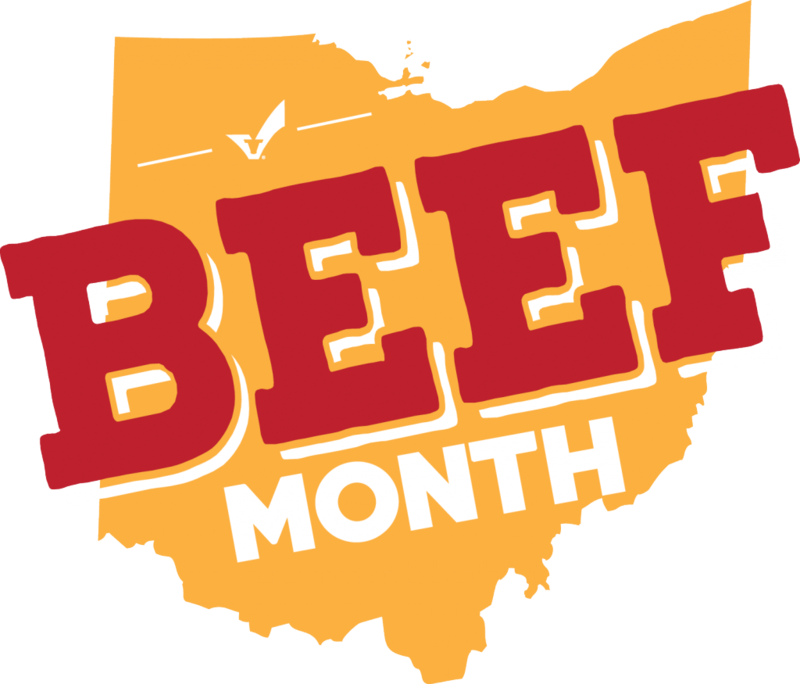 A whole month to celebrate all the tasty ways you can eat beef – grilled steaks and burgers, tacos, meatballs, meatloaf, pot roast and of course salads. Did I miss some? What’s your favorite way to enjoy beef? I’m feeling even better about eating more beef these days because research shows that there are health and wellness benefits to consuming protein in balanced amounts at each meal. By making simple changes over the course of 30 days, you too can make the shift and begin feeling the positive benefits of eating 25-30 grams of protein for breakfast, lunch and dinner! Preheat your grill on high heat. Scrape the grates clean and turn all burners to low. Whisk together the vinaigrette ingredients (fresh pineapple juice through fresh ground black pepper. 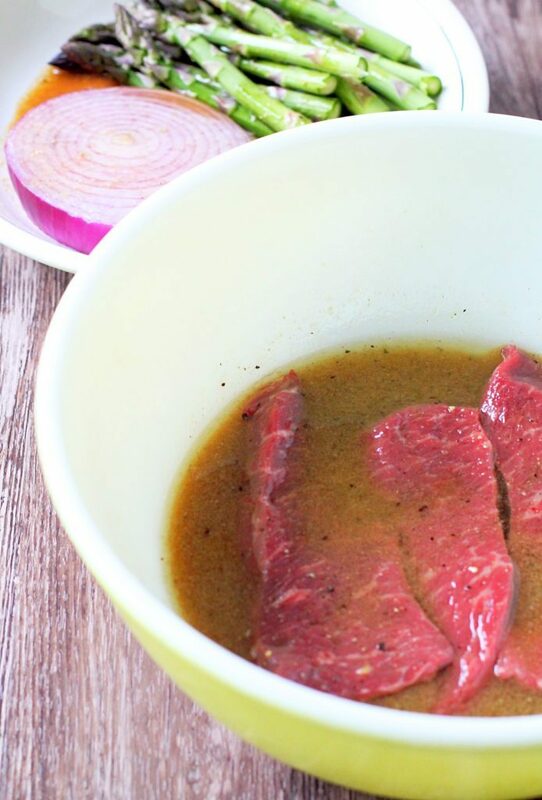 Pour about half of the vinaigrette over the steaks to marinate. Pour a couple of tablespoons of the vinaigrette over the asparagus spears and onion slice. 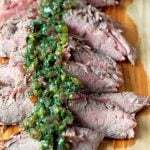 Allow the steak to marinate for 20 - 30 minutes. Grill the steaks until the internal temperature reads 155 degrees F. Remove the steaks to a cutting board and rest for at least 5 minutes. Grill the asparagus spears until crisp tender (just about 5 minutes) and grill the onion slice on both sides until browned and starting to soften. Cut the grilled onion into bite-sized pieces and slice the steak. 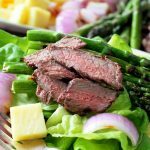 Place a pile of butter lettuce on each plate and top evenly with the grilled steak, pineapple, grilled asparagus and onion. Top evenly with the reserved pineapple vinaigrette dressing. This steak looks absolutely scrumptious! 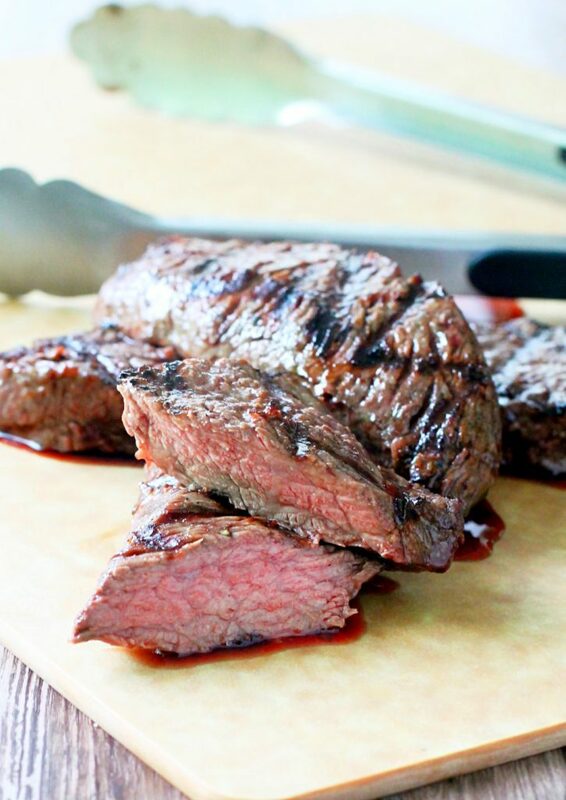 You are right about the digital thermometer – it’s a MUST when cooking steak. So true and glad you agree. Thanks Tania! My mom is coming over for Mothers day and she loves steak. I think that she would LOVE the flavor combinations in this dish! I bet she would – hope you try it! The dressing on this sounds fantastic! I love homemade dressings, and anything with pineapple is a win! Plus I’m loving asparagus right now so this sounds great! That dressing is fantastic! Such a great way to eat beef! Thank you Tanya – I’m going to be trying that burger of yours too! This dressing is out of this world! I could just drink it! !